Moroso was established in 1952. 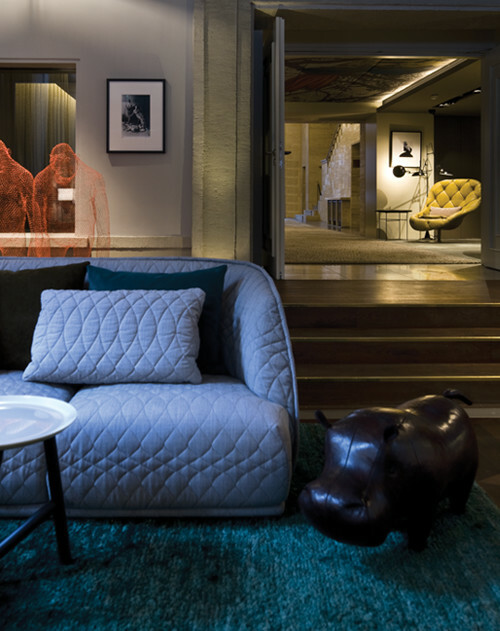 It was the brainchild of Agostino Moroso who, with his wife, Diana, founded the company with the objective of making sofas, armchairs and furnishing accessories. An artisanal approach to product manufacturing and extraordinary creativity in the designing stage formed the foundations of a vision which enabled the firm to grow and distinguish itself in the market for its product quality, innovation and creativity. In the Eighties, the second generation of the family launched an exhaustive programme of auteur design studies. Nearly sixty years after its founding, Moroso is positioned among the haute couture of international design, a leading company in upholstered-furniture manufacturing. Through the creative input of designers of the calibre of Ron Arad, Patricia Urquiola, Ross Lovegrove, Konstantin Grcic, Alfredo Häberli, Toshiyuki Kita, Marcel Wanders, Tokujin Yoshioka, Doshi & Levien, Tord Boontje, Nendo, Front and others, Moroso has over the years created a collection of iconic designs. All with an unmistakable Moroso style, yet each exuding the essence of different latitudes and cultures. Its international outlook has introduced Moroso to some of the most beautiful design settings in the world, including MoMA in New York, Le Palais de Tokyo and the Grand Palais in Paris, and the Venice Biennale. Significant partnerships which allowed Moroso to create a vast and varied product range equally suited to residential or contract use. Today Moroso has 140 employees, a turnover of €30m and exports to 64 countries.